Yes, yes, it is the last day of July. This brings us to the end of another Chronicles of Narnia Reading Challenge. Question for you: Do you all like the idea of keeping the challenge to the month of July? Or would you prefer it to be a summer reading challenge in the future? Say June-August? Or July-August? I'd be curious to know if that would make it easier and more fun for you to participate in it while including your kids? I was delaying writing up this post because I was kinda hoping to finish off the reads I started as part of this challenge but, alas, there was life. 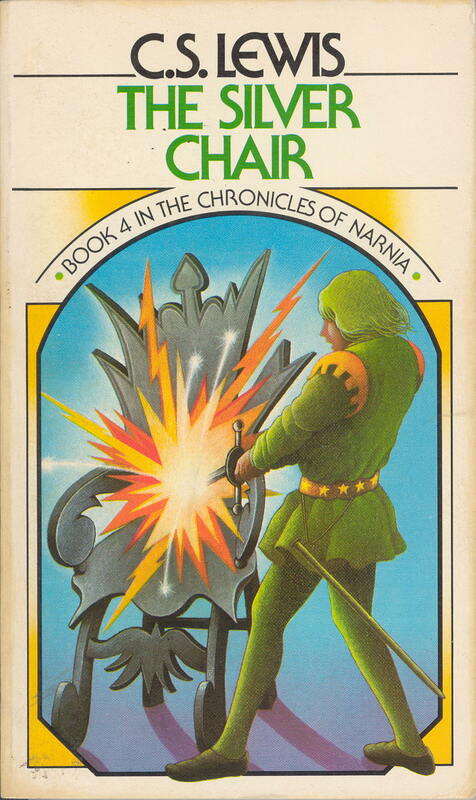 I managed to complete reading The Silver Chair (linked to my review) but I've not finished the other two. I'm still working my way through The Narnian and the boys and I are about half-way through with The Voyage of the Dawn Treader. We're reading a chapter a day and are on Chapter 9. I'll write my review next week most likely and will come link those thoughts back up in the comment section on this post. Honestly, I fell down on this challenge and am kicking myself a bit for not getting as much done. However, considering the fact that Daddy was out of town on a business trip for a week and that life went off kilter a bit around his departure and return, and considering the fact that we've had out-of-town company and many yard projects going on, I shouldn't really beat myself up too badly. (<-- Look at that! A run-on sentence just like the best of Dickens. Only I didn't use a semicolon or fourteen. I'll have to work on that.) How did you all fair? 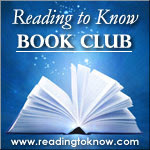 Hopefully combining this challenge alongside the Reading to Know Bookclub helped you out a bit. 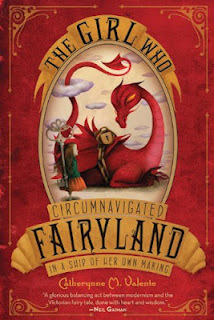 I know many of you were traveling but I also know that several found ways and means of enjoying Narnia with your kids. 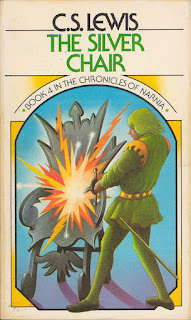 I'm curious to see and hear about how and where you spent time in Narnia. Link up your posts in the comment section below! Hope you had a good time! The August read for the Reading to Know Book Club is The Girl Who Circumnavigated Fairyland in a Ship of Her Own Making and the discussion will be held by Bluerose's Heart. You have from now until Friday, August 31st to complete that read. Though neither of them are my favorites of the series, they're both richly layered with meaning and subtext and I enjoyed them. Yes, I'd say you had good reason to not get as much reading done as usual. Personally, I like that the Narnia challenge is just a month, because there are other challenges and personal reading pursuits going on, too. But I'm okay with however you want to do it. I can work with it either way. Well, it doesn't really matter to me if it's one month or three--I'm not likely to read much more aloud to my kiddos if it's longer because I rather like doing one book per summer (& this was book 4 for us, anyway). I might get more reading done myself, but it depends in what else is going on--it has been a busy summer! It wouldn't help me by making the challenge longer. I would just have more time to procrastinate. I was able to watch one movie; however, I think making it longer would be better as the summer is such a busy time. my own opinion publicly stated. Two months would probably make it easier to participate as much as I'd like--but either way works for me. I would love it to be a two month challenge or a different month. Each year we go to family camp in July. Pair that with things such as VBS and time out of town with family...and well, I am pretty am excited to get any reading done. I read The Magician's Nephew. My oldest and I listened to The Lion. She loved it. It definitely helped that you paired it with the Book Club! I think for reading the series to yourself, one month is fine. But for those wanting to read aloud to their kids, I could see it being a summer thing. We will finish it ... probably in one fell swoop this week without Daddy ... but I love how we were all hooked with this book for an evening read-aloud. This is a routine I want to get swiftly back in place as soon as the Olympics are done. I personally think it would be a great SUmmer Reading Challenge. I fell behind in my other readings because I just couldn't read just one....LOL!